I’m totally satisfied with the watch and esp for those who like black and simple design. You won’t regret it. One of my top watches. Very good service. 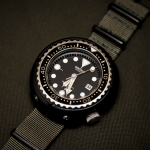 The Seiko SBBN035 or the “Ninja Tuna” is a diving watch made after the similar version, the “Tuna Can”. This watch is impressive when speaking of its size, but also of its build and features. So right off the bat, you need to know that this is a huge watch. 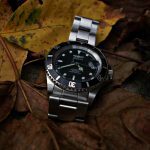 It is actually one of the biggest watches on the market in this price range so you will have to go through an accommodation period if you never had watches this big, before. 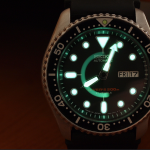 On the other hand the 1000 ft. water resistance is quite impressive, considering that only professional divers with special suits go further this depth. Other features include a magnetic resistant structure which is especially useful in the long run, a precise quartz movement, Lumibrite paint that offers good readability in any environment and much more. 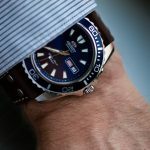 Speaking of design and construction aspects the case is made from a high quality brushed stainless steel that feels great on the wrist along with the rubber strap that works surprisingly well underwater without turning sticky. 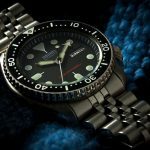 See the in-depth review of the Seiko SBBN035 here. Great watch, ideal size for average to smaller sized wrists. Customer service was very helpful, which should be expected for an item of this price. I have not had any issues with the time-keeping or functionality of the watch. This is the second Tag I have purchased and I could not be happier! The watch is sharp. The lines and design are something to behold and it is an improvement from the last design. Plus this price point is a steal! You will not be disappointed. 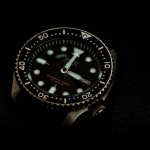 There is a chance you might not prefer watches as big as the “Ninja Tuna” presented above. That is why the sleek Tag Heuer Aquaracer is a great choice for the ones who want a premium and elegant dive watch under $1000. The Tag Heuer Aquaracer is not intended to impress with its features but rather with its elegance and reliability. Founded in Switzerland in 1860 the company kept its promise to deliver high-quality timepieces without compromises and we can see with every watch that they manufacture. The Aquaracer Silver Tone is no exception. It comes with a finely brushed stainless steel case and a sapphire crystal window on top which is one of the toughest materials available at the moment for watch windows. Besides, it comes with a pretty basic unidirectional bezel with a luminous point on top that works seamlessly both when dry or wet. The illumination is pretty good and the date window is standard, although I would’ve preferred to have some sort of illumination for visibility during nighttime. 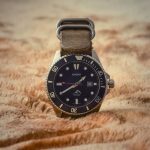 The Aquaracer is what I consider one of the best dive watches under $1000 when it comes to design, style, quality, and reliability. 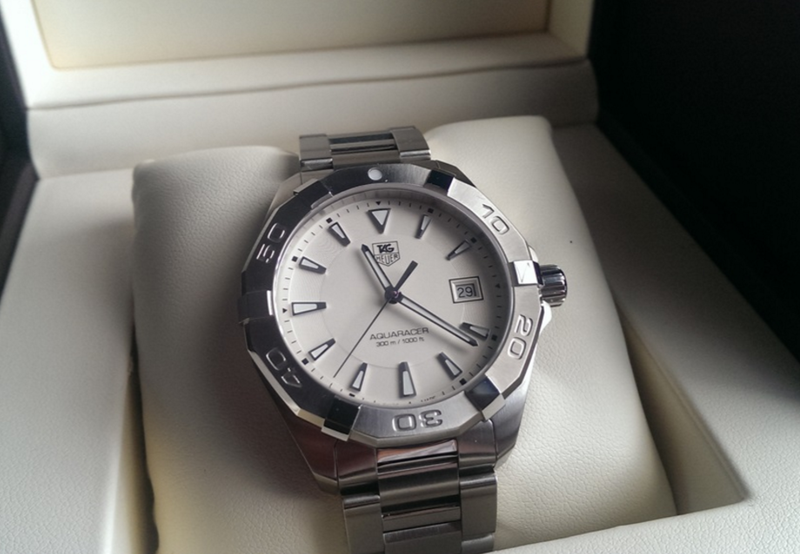 Check out the full review of the Tag Heuer Aquaracer here. An automatic watch uses a mechanical system that transforms the power of your wrist’s windings into power for the internal mechanism. This is why automatic watches are known to require frequent movement in order to precisely keep the time. 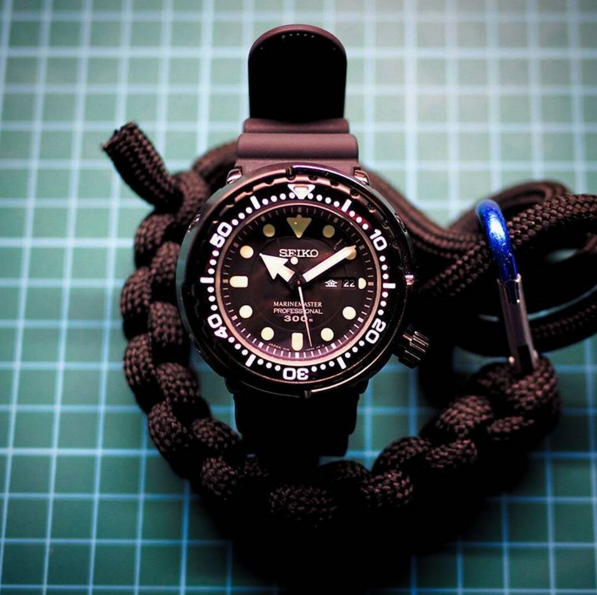 There are a lot of people who love automatic diving watches and there are also a lot who do not. This is more of a personal preference and that is why I won’t start a debate whether one is better than the other. 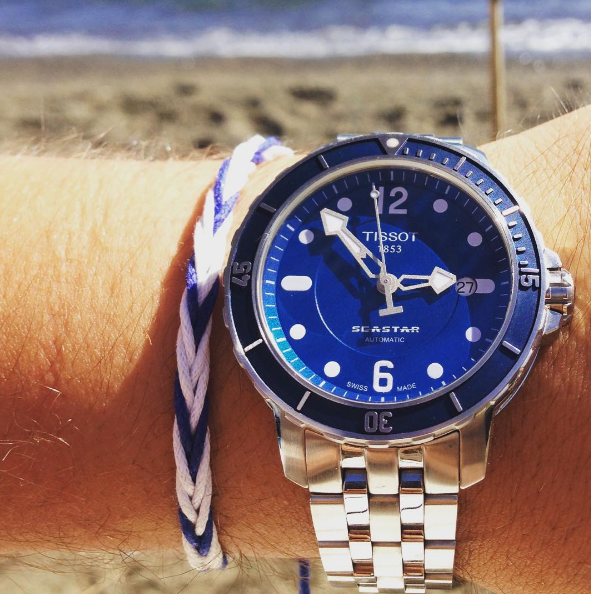 The Tissot Seastar has most of the features that you would expect in a watch of this style and class. 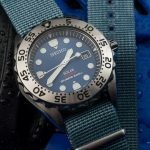 It is a dive watch that is not going to be on your wrist only for pragmatic reasons but also for status. The watch is beautiful and features an all blue dial with an unidirectional bezel with a luminous point on top. Read more about the Tissot Seastar Automatic here. Tissot automatic seastar 1000 blue dail and bezel 42 mm case water resistance 30 bar/300 m case material stainless steel.